Leggings are perfect to give your look a chilled vibe. 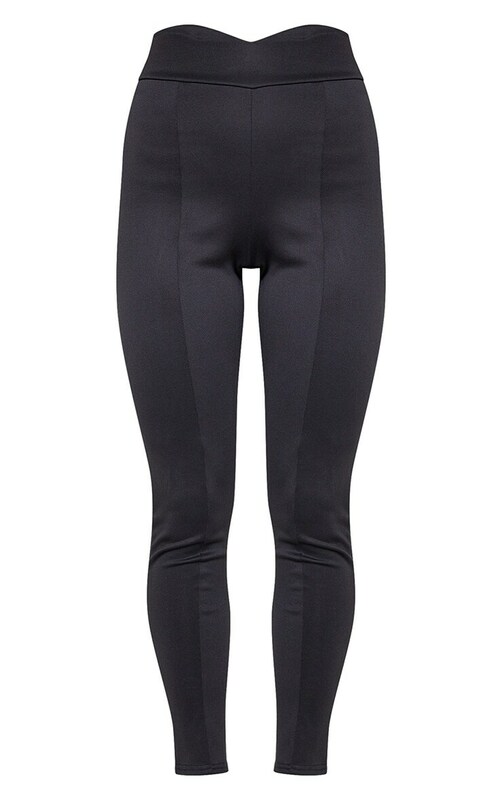 Featuring a black scuba material with a figure-enhancing high waistline and seam detail. Team these with a simple bodysuit and a blazer for a 9-5 look we are loving.